Sometimes you want more than just a choice of “sweet” or “salty” – what about both? Throw in some caramel and vanilla undertones and you’ve got yourself a winner! Did I mention it’s vegan and low on the glycemic index? No wonder my housemates have been begging me to re-make this ever since they first tried it! 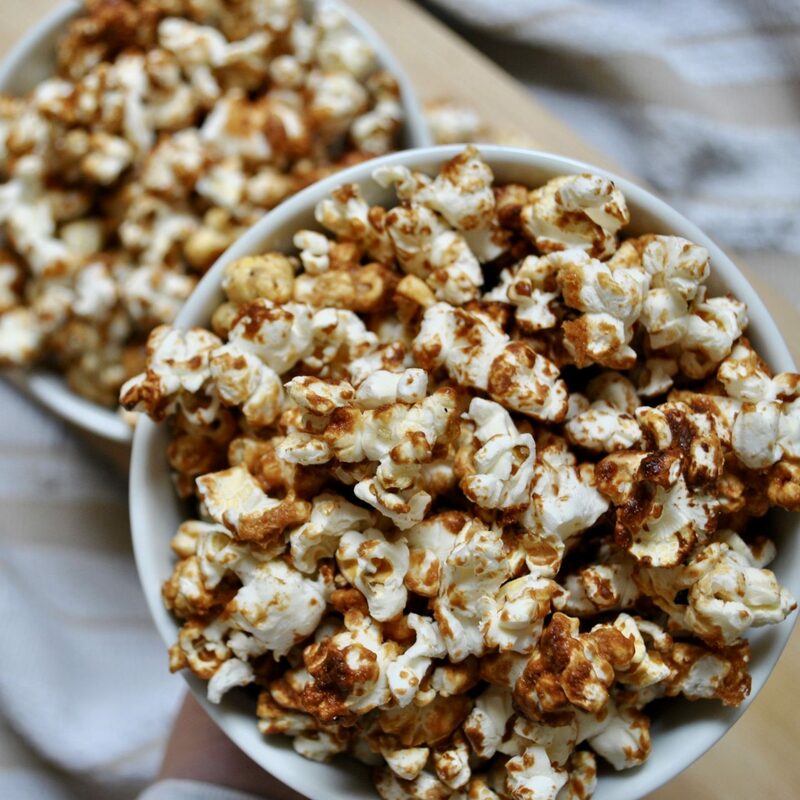 This popcorn is the perfect topping on my Flourless Triple Chocolate Cake with Sticky Toffee Frosting! Preheat the oven to 170˚C. Line a large baking tray with parchment paper. 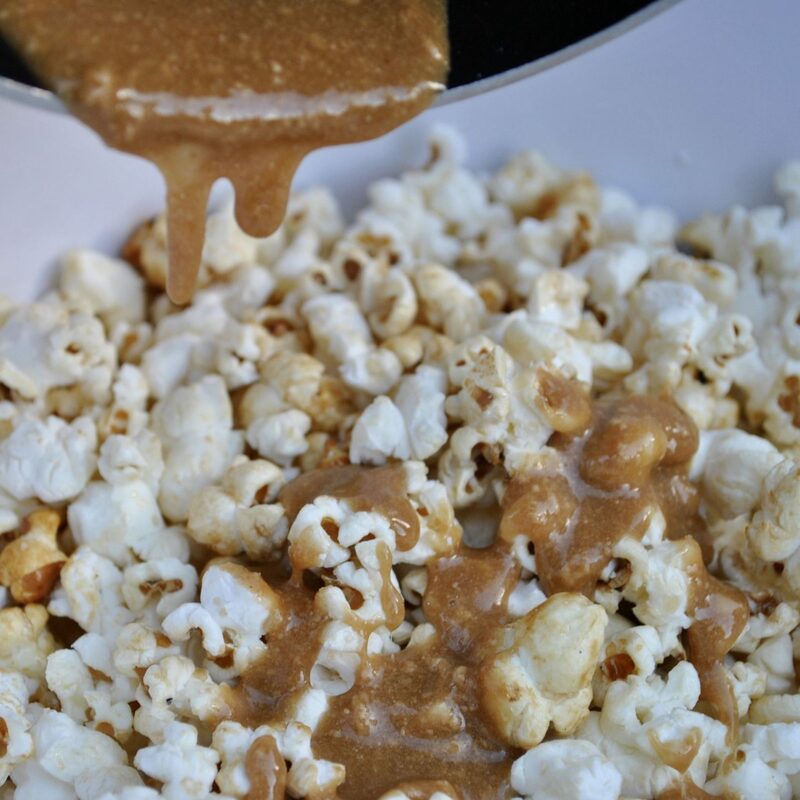 If using un-popped corn kernels, melt the coconut oil in a large pan on a high heat and add the corn kernels. Put the lid on the pan (very important!) and keep shaking the pan vigorously to allow all the kernels to pop. Remove the lid and set aside. In a small pan over a medium heat, add the date syrup, maple, cashew butter and salt and stir well until combined. Allow to simmer for 3minutes, then remove it from the heat and stir in the vanilla and baking soda. 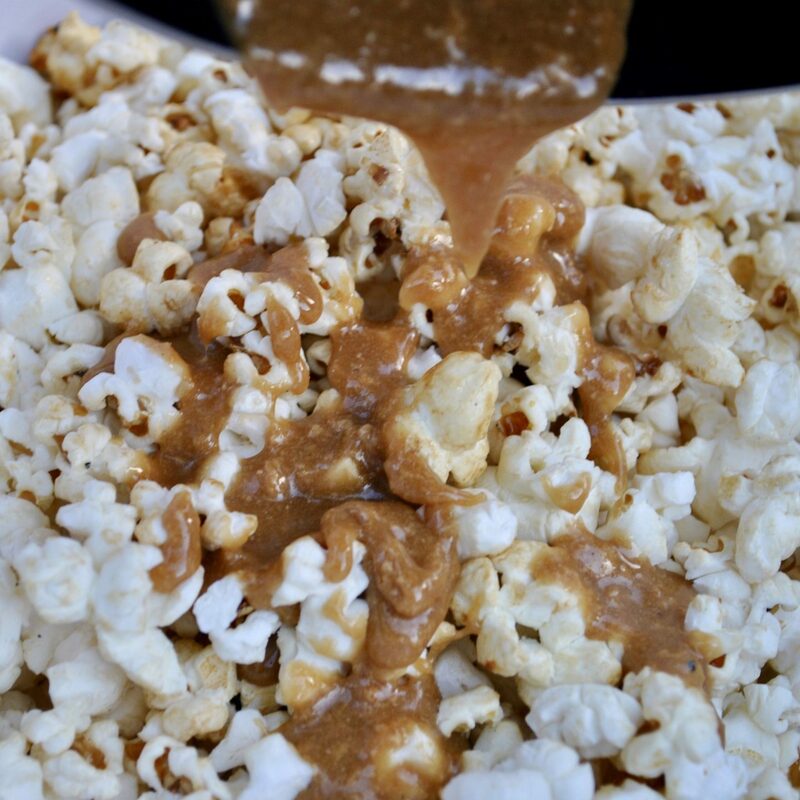 Pour the caramel sauce over the popcorn and stir until it is all coated in the caramel. 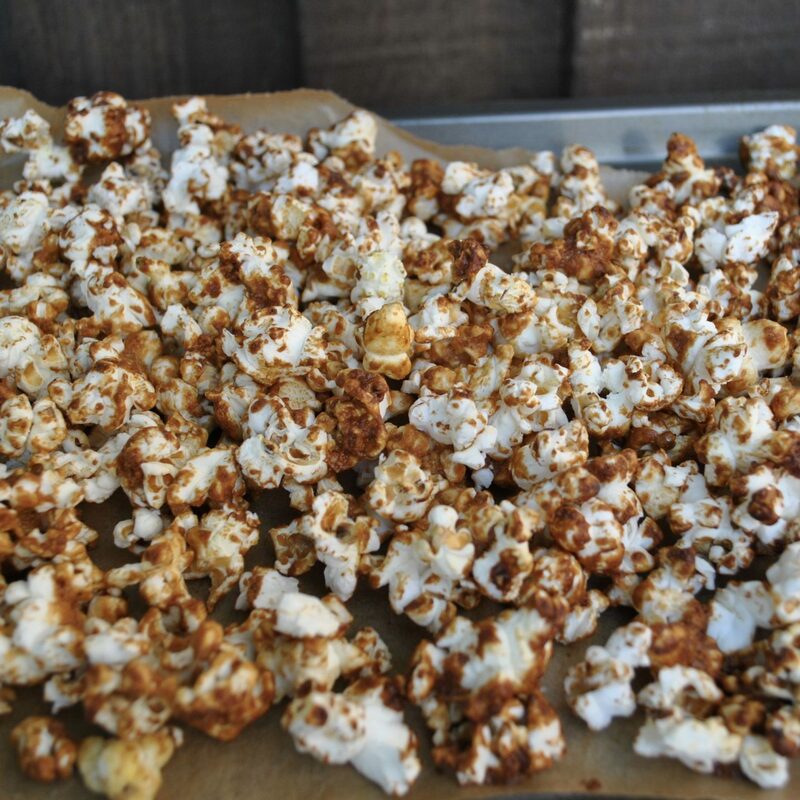 Spread the popcorn evenly on two lined baking trays, sprinkle with more salt, and bake for 10 minutes, removing from the oven halfway to turn popcorn over. Allow to cool completely before eating. 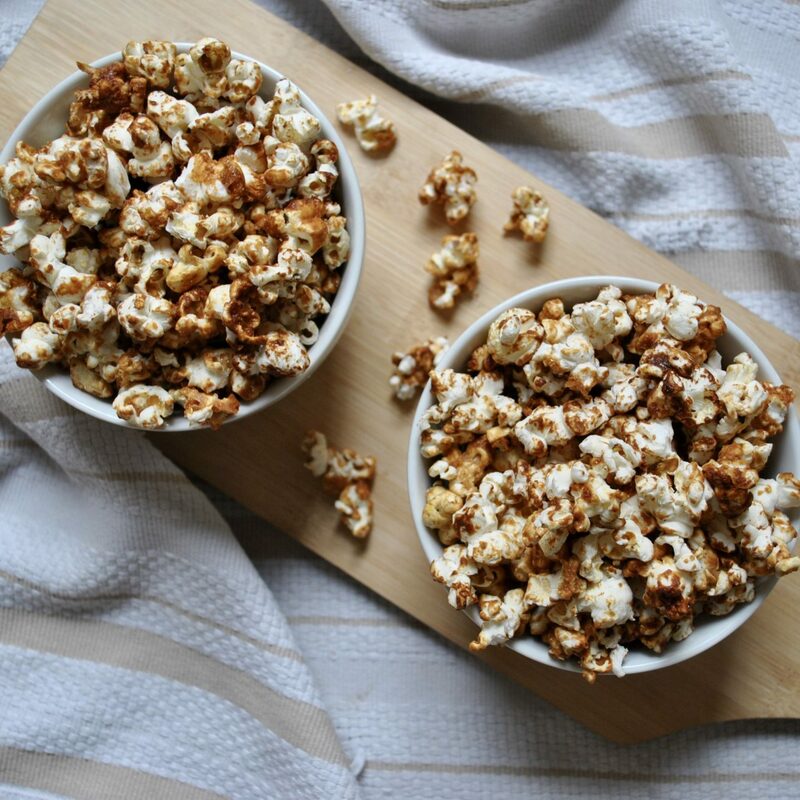 Store any leftover popcorn in an airtight container for up to 5 days. I’d love to see photos if you make this recipe! 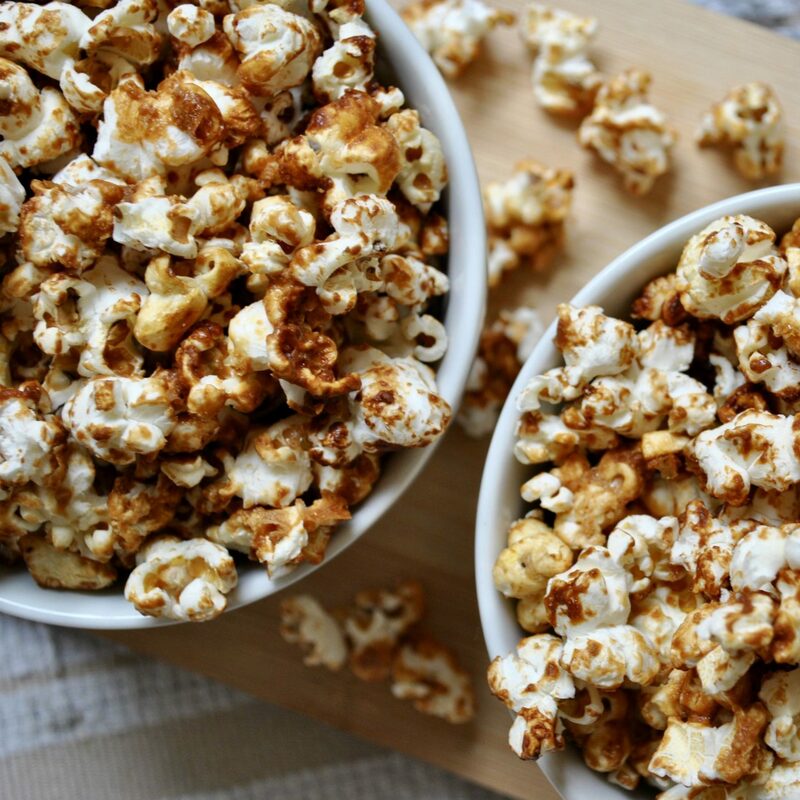 Don’t forget to tag me on Instagram @cerealandpeanutbutter – I LOVE seeing your creations.